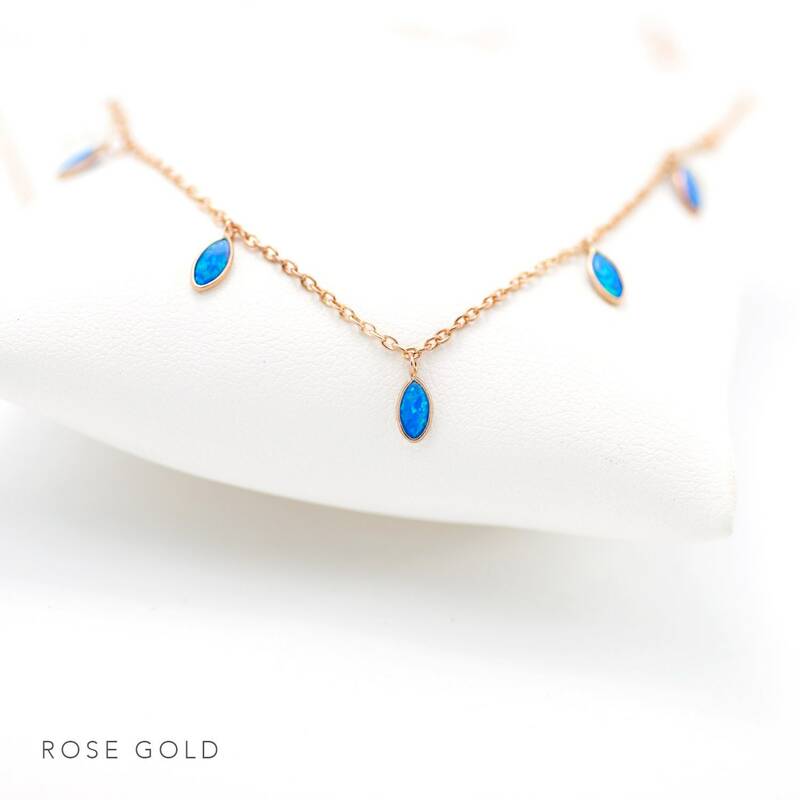 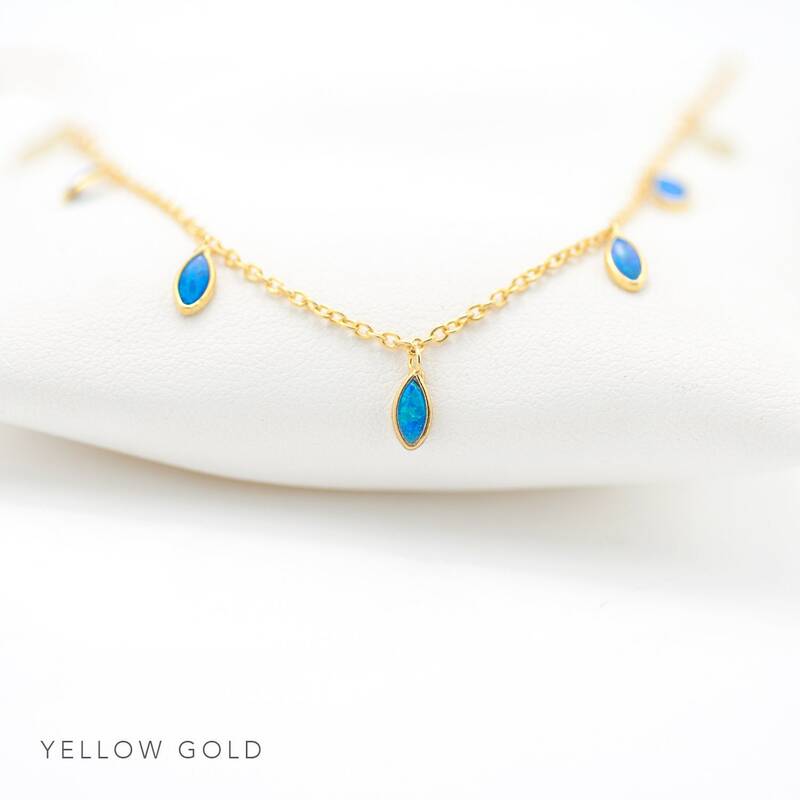 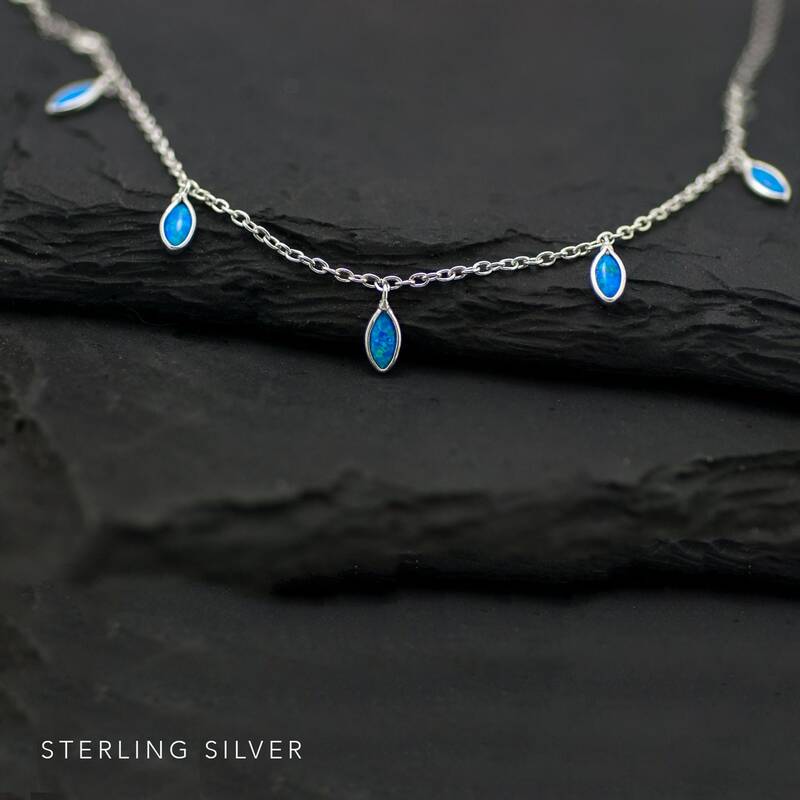 This necklace features multiple vibrant blue opal stones hanging from a delicate chain. 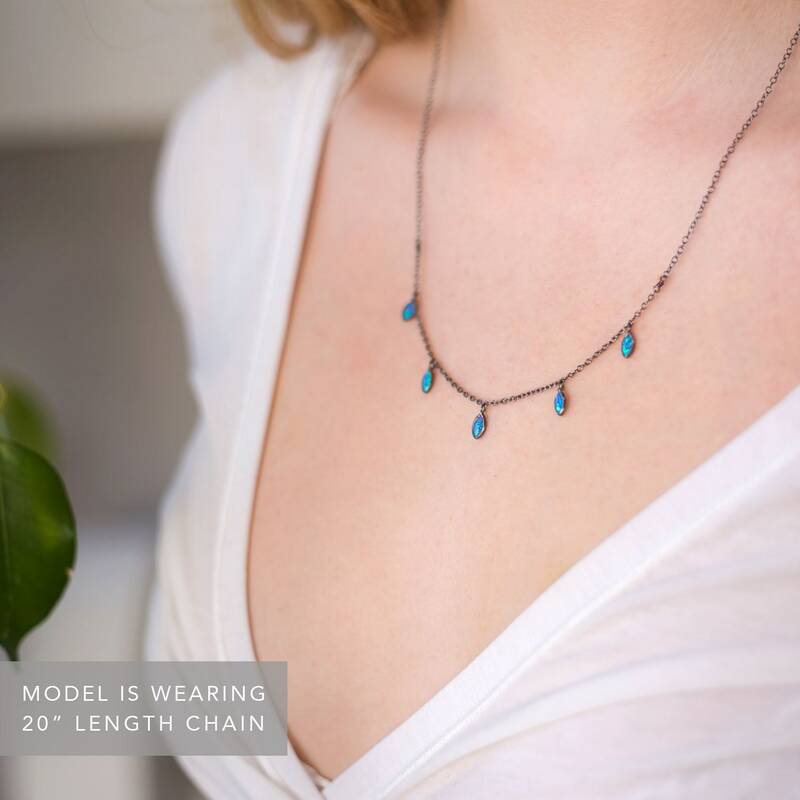 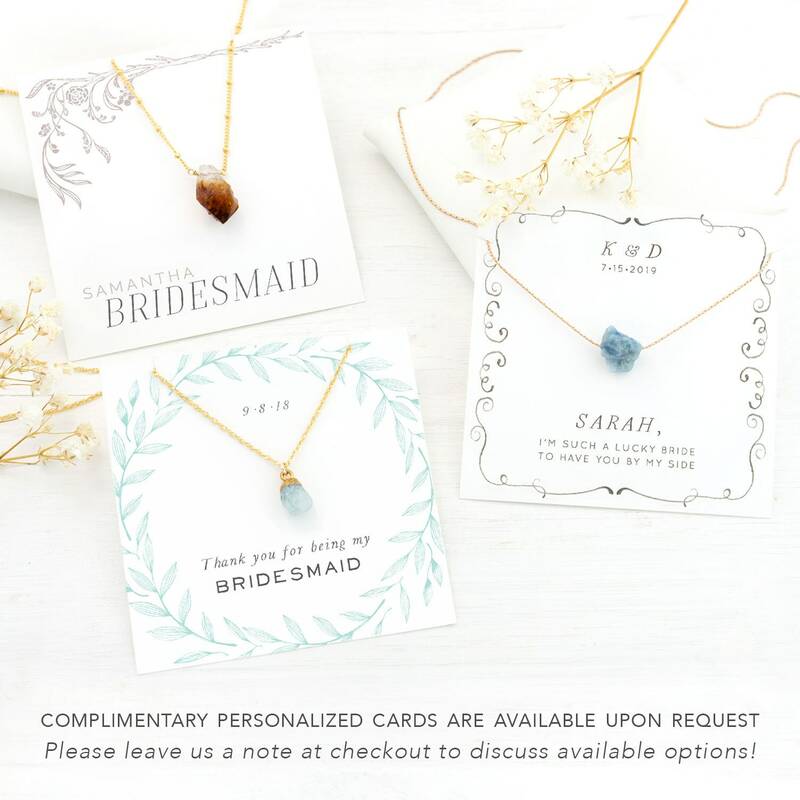 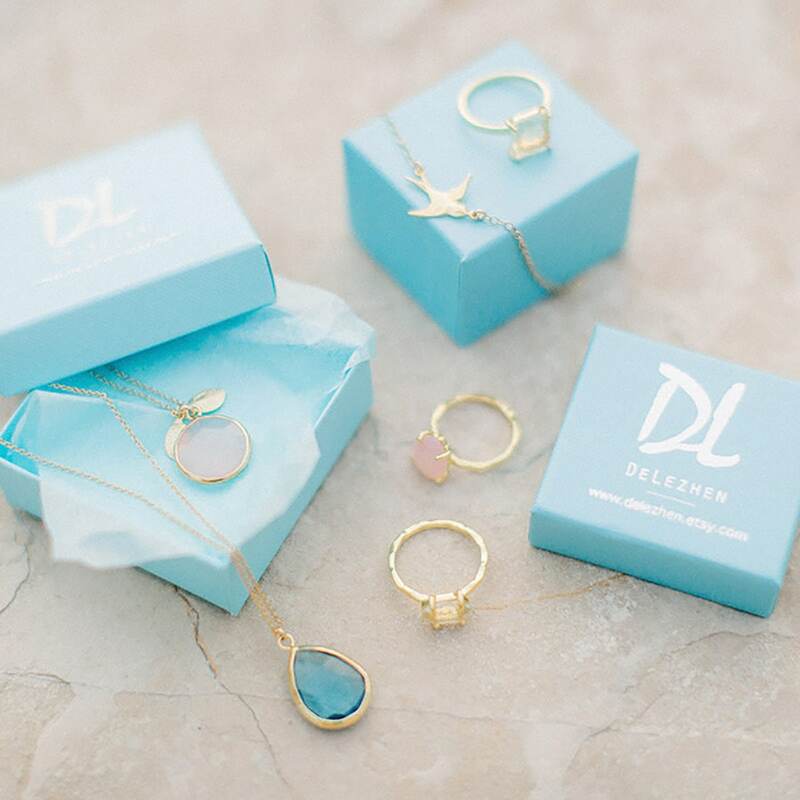 This necklace is simple enough for everyday wear, and is perfect for layering! 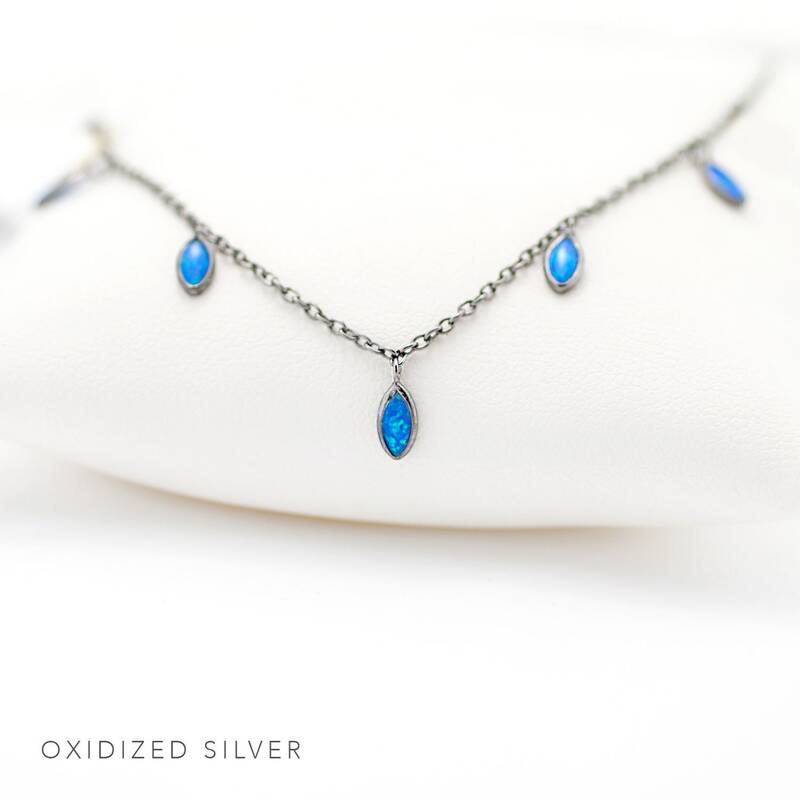 Available in Yellow Gold, Sterling Silver, Rose Gold and Oxidized Silver.